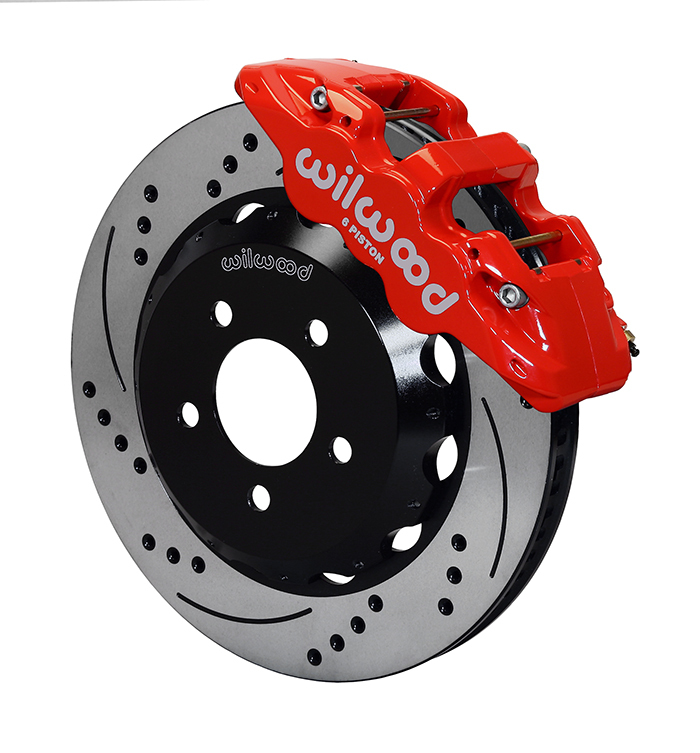 TCE offers the full line of Wilwood factory kits: 13 and 14" FNSL6 front and 14"Aero6 fronts as well as 13" DP rear kits! * No pdf available. Shares hats and rotors from FNSL6 kit but uses TCE supplied radial mount brackets for attatchement of alternate Aero6 calipers. ** Same as FNSL6 kit but with alternate radial mount bracket. TERMS AND CONDITIONS: All sales subject to 20% restocking fee. Consumer will pay all return shipping. No credit will be given for installed, mishandled or damaged good. Actual shipping costs will be deducted from returns on merchandise sold with "free shipping". APPLICATION: This value packed kit puts the 350Z into serious braking performance yet retains a low profile for wheel clearance. 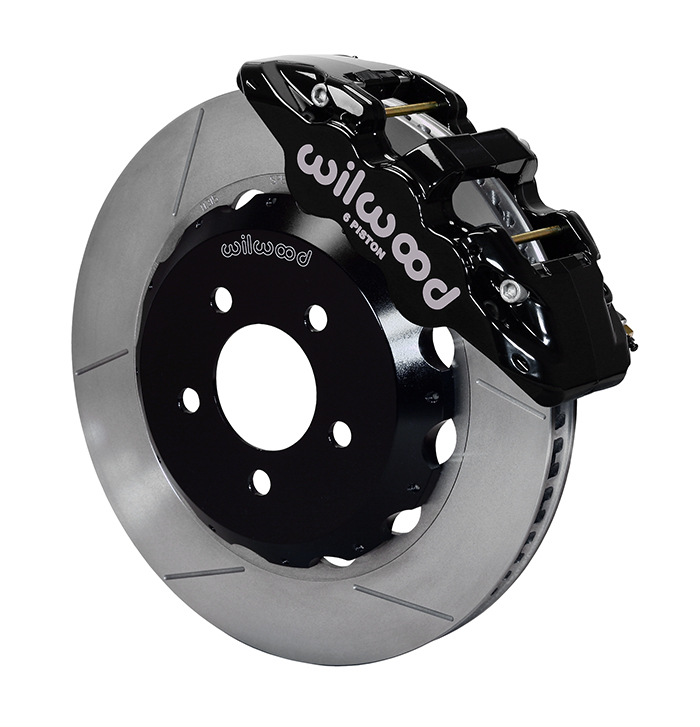 Standard are directional, gas slotted 13" rotors with Forged Narrow Super Lite calipers. APPLICATION: Fit a larger 14" rotor to the above kit to really fill the 18" wheels and you have improvements in both function, thermal mass and appearance. NOTES: FWD vehicles only. 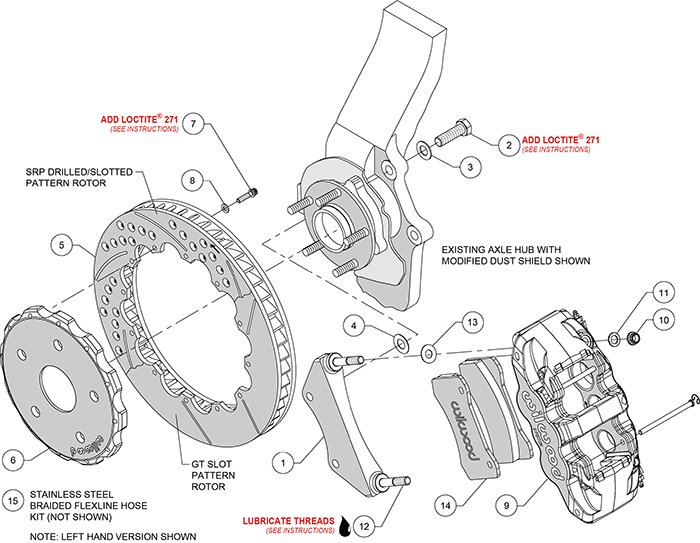 Former 13" kit owners can enlarge to this kit with the purchase of rotors and mount spacers. Call for more info. APPLICATION: Taking a good product and making it better.....The Aero6 kits offer greater caliper body size and mass, 15% more pad material and stunning looks making this kit an easy choice! NOTES: FWD vehicles only. Should be combined with the 13" rear kit for ideal brake bias demands. W6A caliper kits can be purchased for upgrade for current BSL6 customer. Please call. APPLICATION: Add a matching rear kit as well and boost the overall brake response with a system engineered to increase rear brake performance. Retains the factory parking brake drum yet converts to 2pc hat/rotor for larger and mathed front kit appearances.